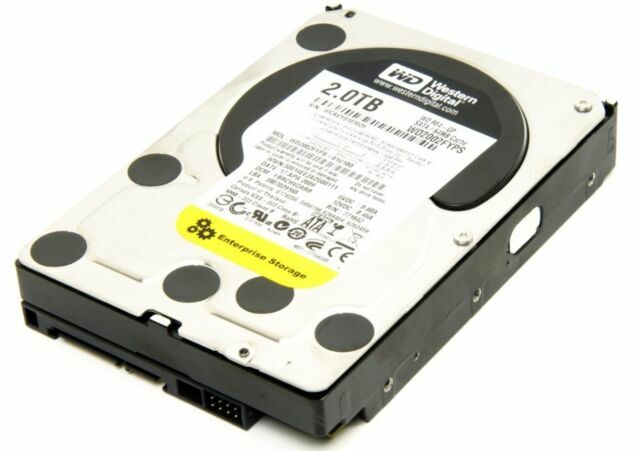 Western Digital WD2003FYPS is an HDD with a 3.5-inch form factor and an internal enclosure. Featuring 2 TB memory capacity, the WD2003FYPS model provides storage space for the user's data. The device connects through SATA II interface and has a spindle speed of 7200 RPM, thus efficiently handling data transfers. This disk is designed for PC systems and has a 64 MB buffer size. Its dimensions are 4-inch height, 5.8-inch width, 1-inch depth, and its weight is 1.4 lb. good size HDD for the price, well within a small budget. good relieable brand name. DiskCheckup reads this as a 5400K drive WD lists it as "Intellipower" which all reviews agree it is low spin rate. The one I received has 39000+ hours. Risky for reliability. I will use it to store some mirrored backups but leaving it up and spinning would not be a good idea. These Hard drives are great for storage, fast, reliable and quieter than some of its competitors. Having a company like Western Digital back their products is in my opinion one of its greatest features. WD Black - the best! Western Digital has bee the best in data storage. This drive with 2 terabytes of storage can not be beat. I installed Windows 10 on it and still have 1.5 terabytes left.